Tidy Mart is the name that has earned the reputation of being the reliable source of accessing a wide range of Aluminium Scraps in the international markets. Our wide range of products different types of ferrous and non- ferrous scrap metals, including copper, Aluminium, brass, stainless steel, nickel alloys etc. Tidy Mart practice to provide the every possible requirement of our clients; in the adherence to the principles of quality, quantity, excellent service, and finally mutual benefit. We have accomplished many deals with our clients in a proficient manner, which have resulted in a loyal clientele of Tidy Mart. Tidy Mart entertains business enquiries on regular basis. We value the feedback of the clients, as it is the only parametric scale for us to judge the performance of our services and products to improve accordingly. Tidy Mart specialize in the Non-Ferrous Scraps trading, We deal with various kind of Aluminium Alloy Ingots, Aluminium Plates, Aluminium Rolling, etc. Tidy Mart offering highest level of quality service, committed to reduce your purchase costs by sourcing Aluminium scraps at a competitive price. DLC, TT payable 100% at loading port, upon seller presentation of documents for payment are Non-Negotiable Bill of Lading, SGS or Equalent Quality & Quantity Certificates and Commercial Invoice. 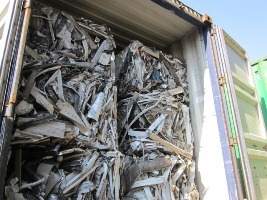 We invite all serious buyers to get in touch with us, for more details please send your requirements to our mail address.Feel free to contact us to know more about our professional Aluminium Scrap International Trading Services. 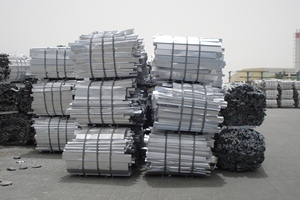 Tidy Mart Offers Customized Aluminium Scrap Trading Services.